Drawing with light is extremely easy and fun. Simply wait until night time, put your camera on a tripod, and set your exposure for long periods of time (these are usually 5 seconds-5minutes), your aperture, and ISO. I usually use f4 at iso 200 or 400, but these settings need to be determined differently according to each situation. Then, DRAW! 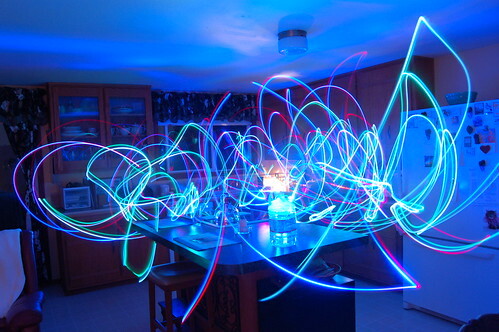 There are many different light toys that create different effects. 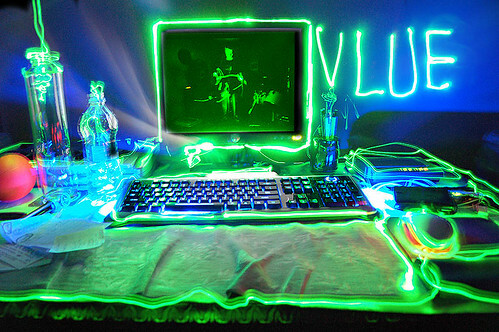 Things that have been used before include sparklers, glow sticks, flashlights, maglights, fire/torches, RGB strips, Christmas lights, illuminated cell phones, iPods, laser pens, and of course, any kind of LED. 30 second exposure of tiny LED finger ring lights. I was holding them the entire time, but because I was not illuminated, you can't see me in this picture. 7 second exposure / f22 / ISO 200. 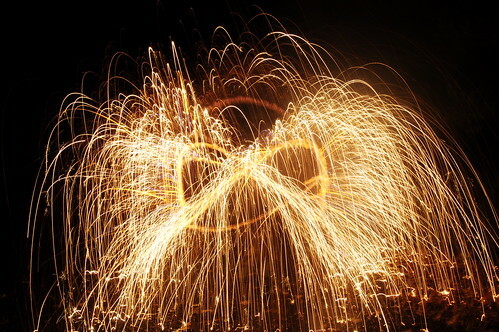 This is just a standard long exposure of a sparkler in motion. Also keep in mind that if you use a flash, the person holding the sparkler will show up in the photograph. Regular sparks from fires can also make amazing shots, especially if you go in and out of focus during the exposure. 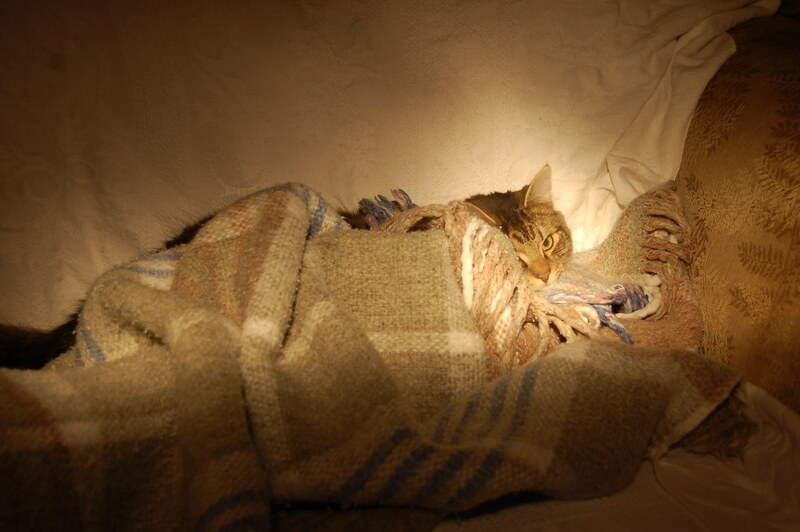 You can also use any kind of flashlights (or strobes/flashes) to illuminate your scene. Simply turn on your flashlight and start drawing/painting/spraying light onto the scene to illuminate it in the dark. If you have an extremely powerful flashlight, it is very well possible to illuminate entire landscapes in the dark as well! 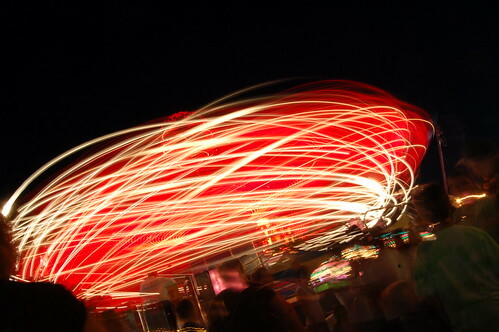 If you have a tripod on you, and you're in an amusement park or some type of fair grounds, long exposures of rides look pretty sweet. Ferris wheels also work very well. 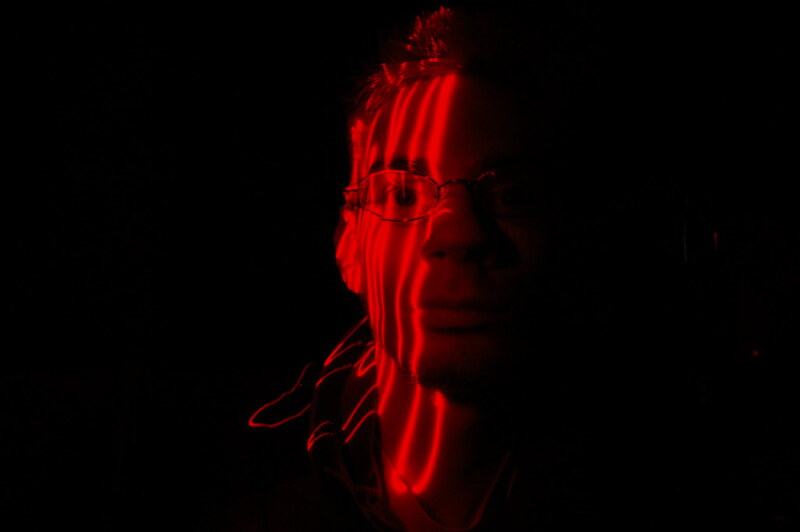 You can also make silhouettes of people by taking a long exposure while you move some sort of light behind them. Blue glow sticks were used in this example. 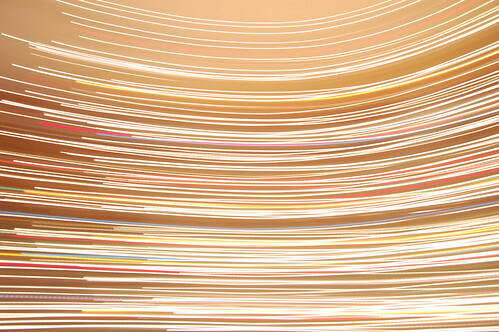 This was a long exposure of Christmas tree lights. It was a one second exposure. The reason why the lines look so straight is because the camera was jerked in a fast motion. These are called physiograms. 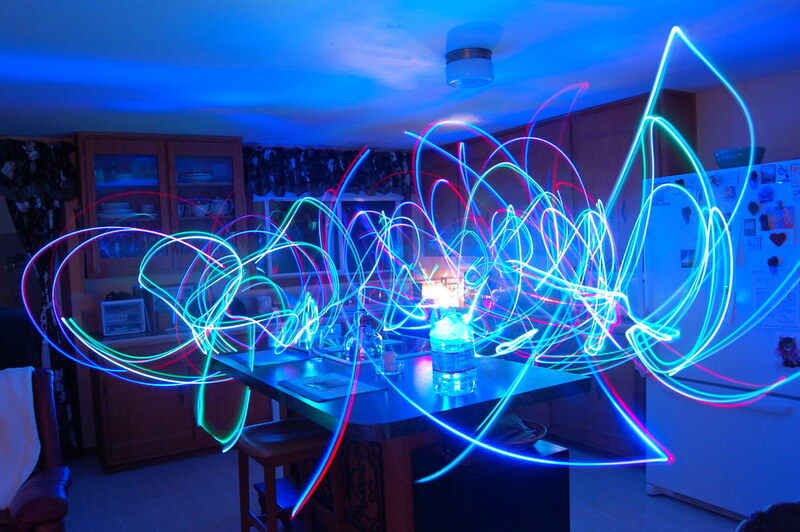 Simply attach Maglight to a string and let it hang from the ceiling, turn off all the lights, take a long exposure, and give the LED a little tap. When the long exposure is complete, this is what it will look like. 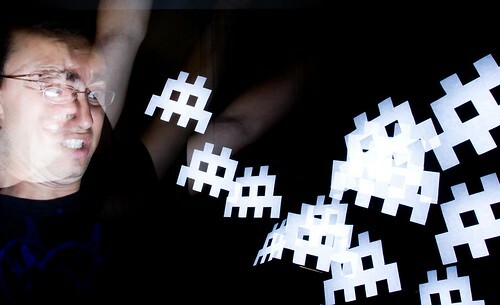 You can also make flash stencils! Just put cardboard in front of your flash with a design cut out in it, and you're ready to go. If you are interested in incorporating long exposure effects and light painting into your night photography, I would highly recommend "Night Photography & Light Painting" by Brent Pearson, especially if you are light painting landscapes. You can also create long exposures of landscapes during they DAY by using an extremely dark filter that attaches to the front of your lens. The filter you can use is a B+W filter, an ND400 filter (I'd recommend this one), or even an Infrared filter. Taking long exposures during the day is useful for creating foggy/ghostly seascapes, blurring clouds, blurring water and waterfalls, and even removing people from a scene (if they are constantly moving). 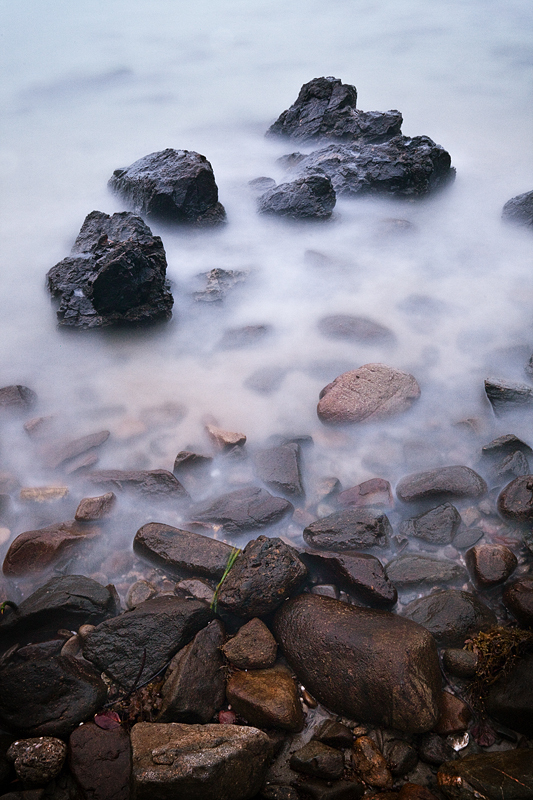 Long exposures are excellent for moving ocean waters splashing against rocks. The longer exposure = the more misty the water will looks A lot of people use an ND400 Filter for long exposures during the day. It allows 30 second+ exposure times. Long exposures of waterfalls create that smooth/soothing effect. 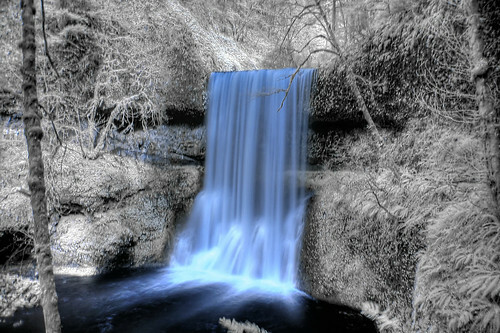 Silver Falls, Oregon. This looks blue and white because it was taken with an Infrared Filter attached to my camera lens. Manual blend of 2 exposures. 20 seconds for the water and 5 seconds for the sky. The long exposure is made possible by the use of a ND400 filter. These are a great challenge, and the best part is, you don't know what the photograph will look like until after you've taken it. You will need to have your camera on a tripod, manually focus to infinite, use the widest aperture you can and a low ISO. If you want to take 20+ minute long exposure, you will need to buy a cable release made for your specific DSLR. 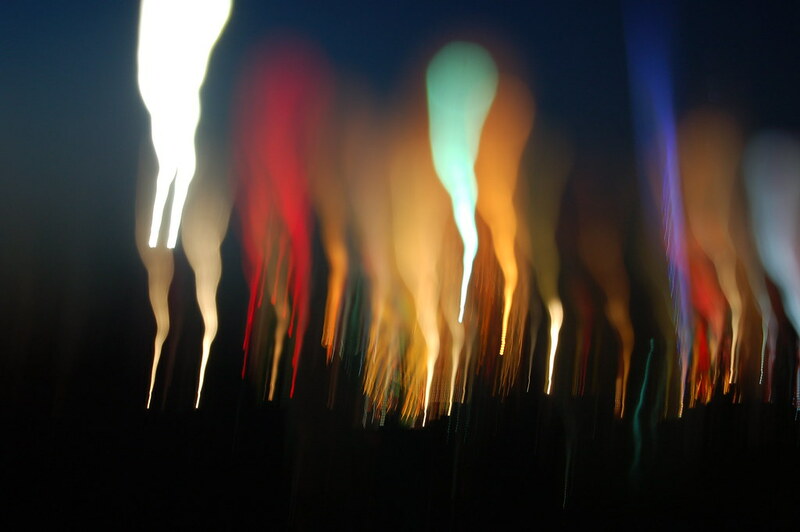 However, taking super long exposures can cause a lot of noise in images. 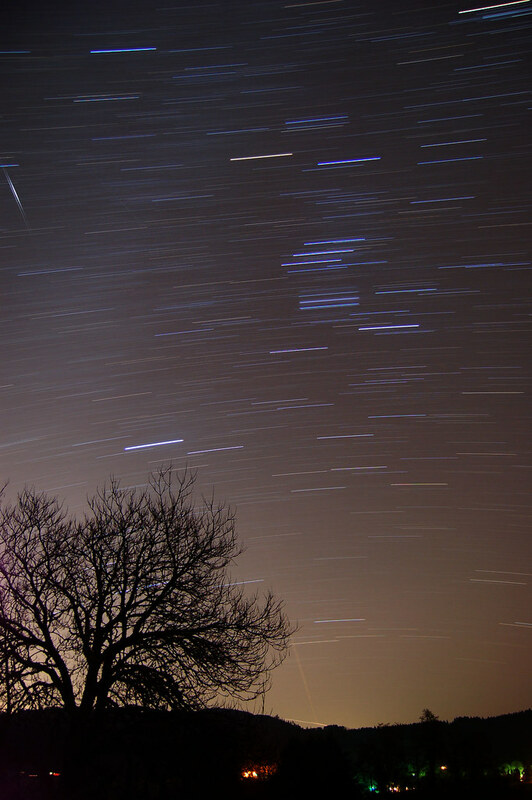 An alternative wave to doing star trails is to take a bunch of 30 second exposures and then overlap all the images on your computer using a program called Startrails. There is a minor drawback to this method: for every 30 seconds of an exposed photo, there is a 1-2 second time period where the camera isn't taking an exposure. This makes it so there are little tiny spots not visible in your star trail. It is a very minor drawback, but ultimately it is a better method because there isn't as much noise. 20 minute exposure at F 3.5. ISO 200 or 400. A creative use for the ND filter would be to take a picture of a watch or clock. 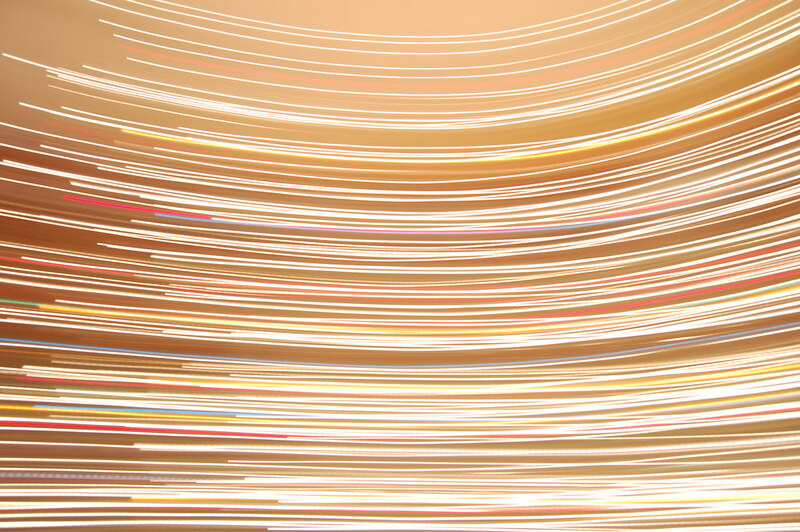 In this 4 minute long exposure you can see each second hand as it moves around the clock. 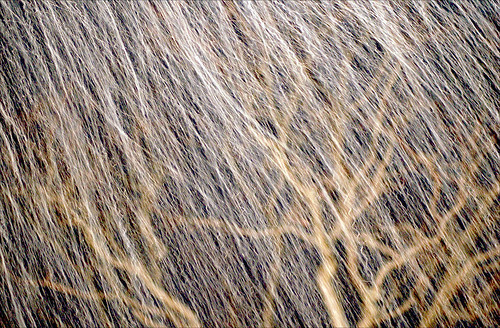 This is a long exposure at night time of snow falling! The snow was illuminated with a light, and a tree is in the background. 3 seconds. 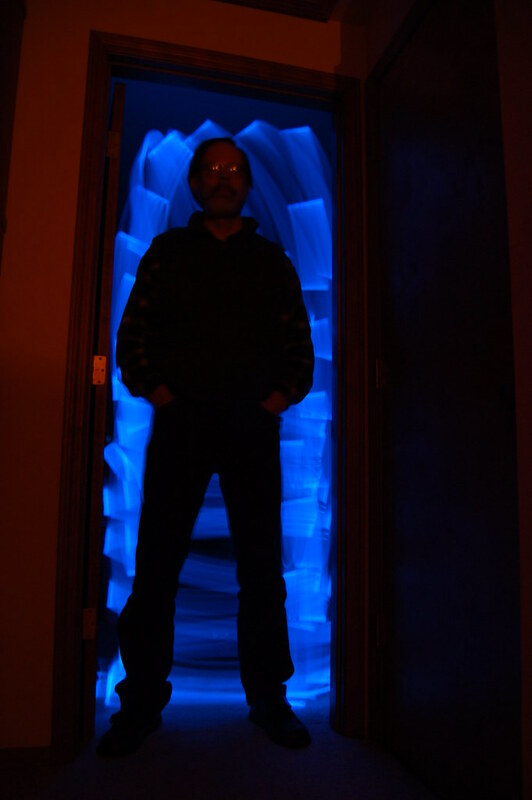 This is an example of Solarigraphy. Solarigraphy is the process of taking long exposures with pinhole cameras that last several MONTHS to record the light of the sun. 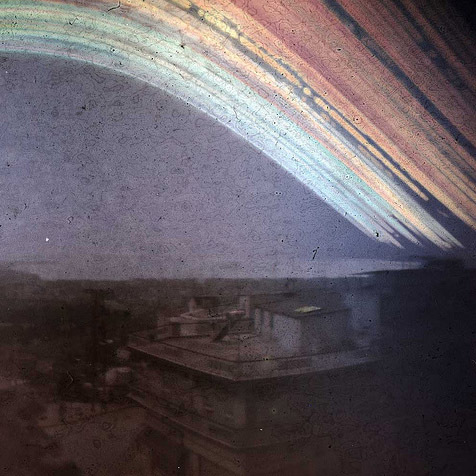 This is a 6 month exposure taken by solarigrafia on Flickr. You can learn more about where this form of photography originated from here. Photo by Diego Lopez Calvin (Solarigrafia in Flickr). There are also other things you can do with long exposure photography. Long exposures during the day allow water and clouds to blur, leafs on a tree will also blur (if there is wind). In addition, you can also take a long exposure in a very crowded city where lots of people are walking, and completely make the crowd invisible by taking a long exposure during that day. You can also use a long exposure and then fire multiple flashes to light your subject in different ways, and/or to multiply them in number. You can also spin your camera to take perfect straight blurred out lines, or you can zoom in and out with your lens while the exposure is taking place. Long exposures also come in handy during lightning, simply take a long exposure and wait for the lightning to show up. Because long exposure photography is such a large topic, there is only so much I can write in a blog post. 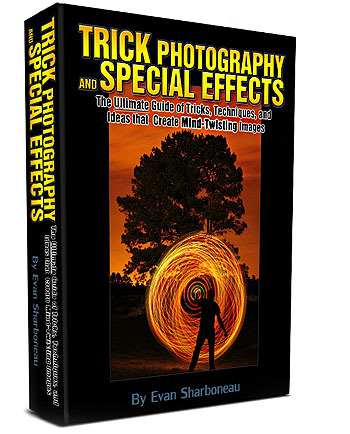 If you want to know more information on lights, techniques and effects, check out my Trick Photography and Special Effects eBook. 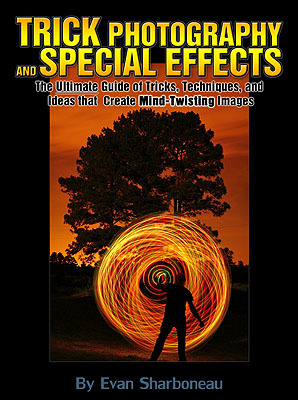 It has over 60 pages of content solely dedicated to light painting techniques and long exposure effects. Careful with that laser. 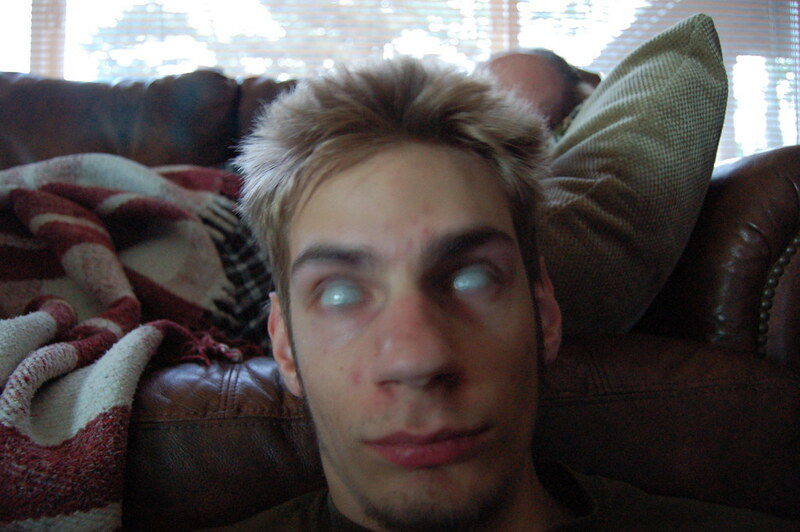 Don’t use over 5mw and keep it moving or you may harm your model’s eyes. Probably 1mw is best to allow a safety factor. Also, nice waterfall shot. That’s my fave. Great tips. Will try some of these. Thanks a lot. Thanks for featuring my long exposure photo of the rocks in the water! Excellent ideas and clear instructions. Thanks. Yeah, I was going to say the same thing about the laser, I wouldn’t point it anywhere near anyone’s eyes, especially your own. Stick to the LED’s. Amazing post – you did a great job on all of these man. Cheap cyalume glow sticks, they last for years and are very bright. I am so STOKED about finding this site!!!! These are AWESOME AWESOME AWESOME tutorials. really, this is one of the best sites out there. Im going to use many of these ideas for my photography class.! My teacher is going to be thrilled!!! hey i’m planning on buyin a nikon d3100,plz advise,i wanna take the cam to the limit n beyond! I’ve already reported him to Tumblr for an article he attempted to hotlink from my site. Just thought you might want to know. I write a review about your product. Really neat stuff, already use some of these ideas myself, but always great to get new inspiration to apply to my particular speciality. Power on! I was a bit reluctent to “sign-up” at first, but now having read some of your E-books I’m sure glad I did. Link exchange is nothing else except it is only placing the other person’s blog link on your page at proper place and other person will also do similar for you. 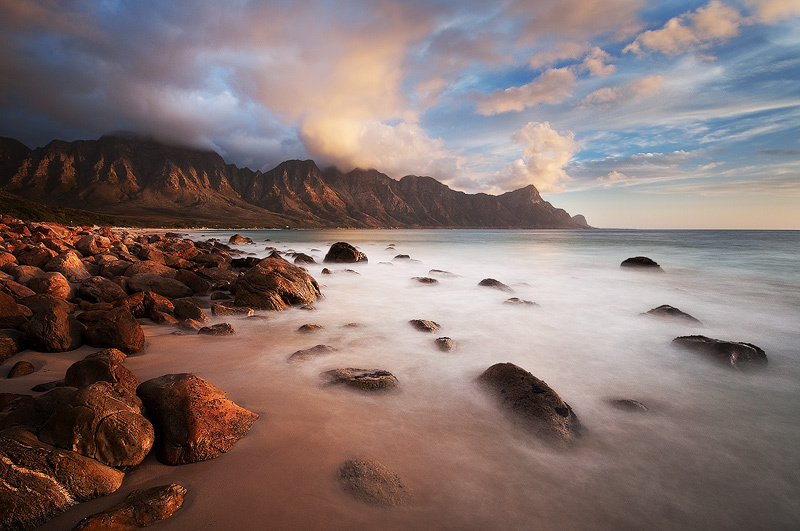 For those who want to know, the fantastic wide angle seascape shot with the mountains in the background is Kogel Bay in South Africa about an hour’s drive from Cape Town. The very last “knob” of the mountain on the horizon is called “Hang Klip” (Hang Rock) ! The bay is False Bay and if the camera were to pan to the right, one would see Cape Point. Love this article! #bookmarked! You explain things so clearly & make everything seem so possible…and I now see that it is through your teaching! I have your books & they are just great! 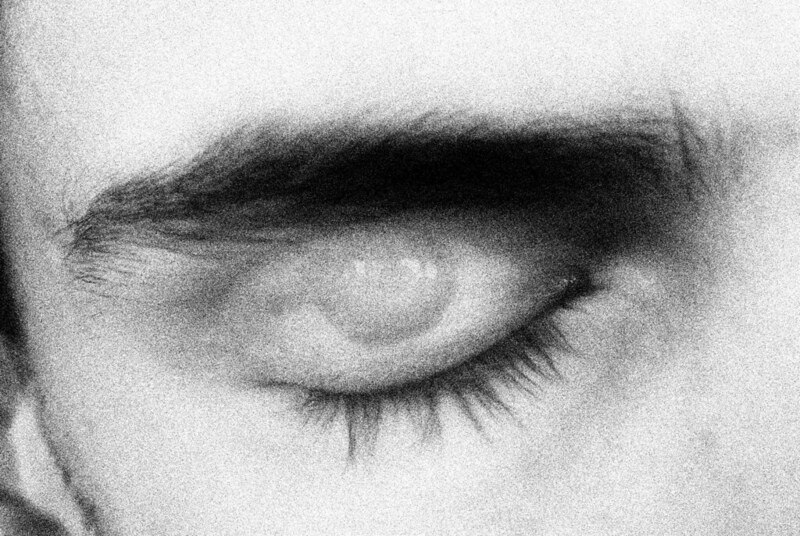 Made me approach my photography in a totally different way & I’m not even through chapter 1! Great tips, you are a great teacher Evan,thank you. I love all these pictures!I found a picture of a tree done with long exposure lightning.Can anyone tell me what happened to that tree after the shot was taken?it is so interesting and I am just trying to understand a bit more on the subject about before and after efects.any help with this would greatly be appreciated. I like all these pictures!I found a picture of a tree done with long exposure lightning.Can anyone tell me what happened to that tree after the shot was taken?it is so interesting and I am just trying to understand a bit more on the subject about before and after efects.